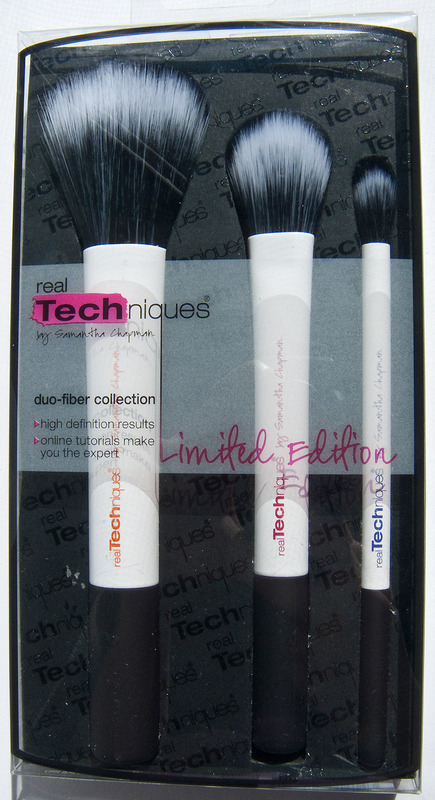 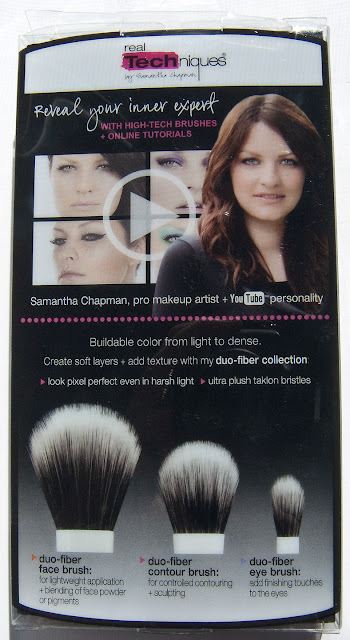 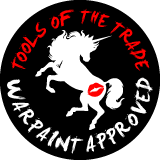 The set retails for $20 US and is the latest to the Real Techniques but unique in that they are duo fiber style brushes. 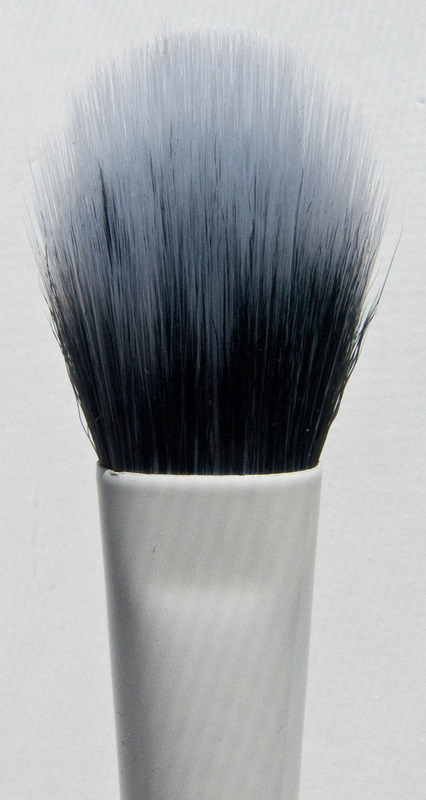 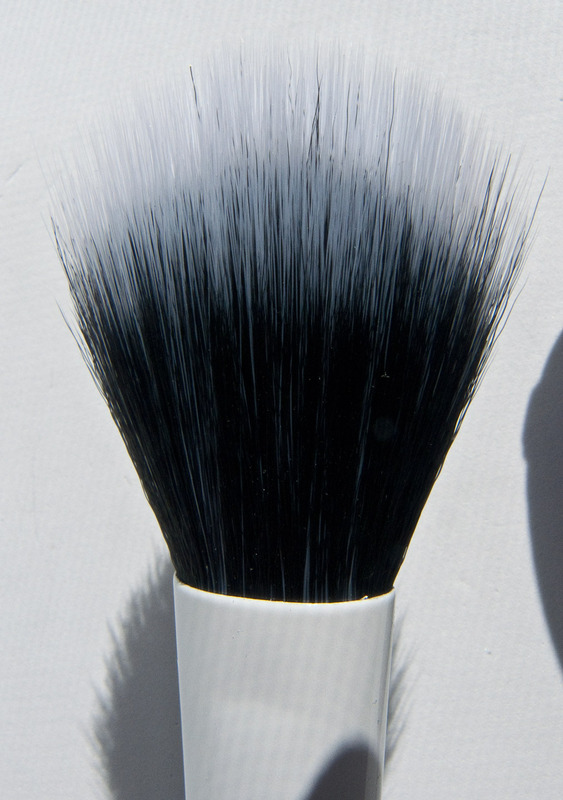 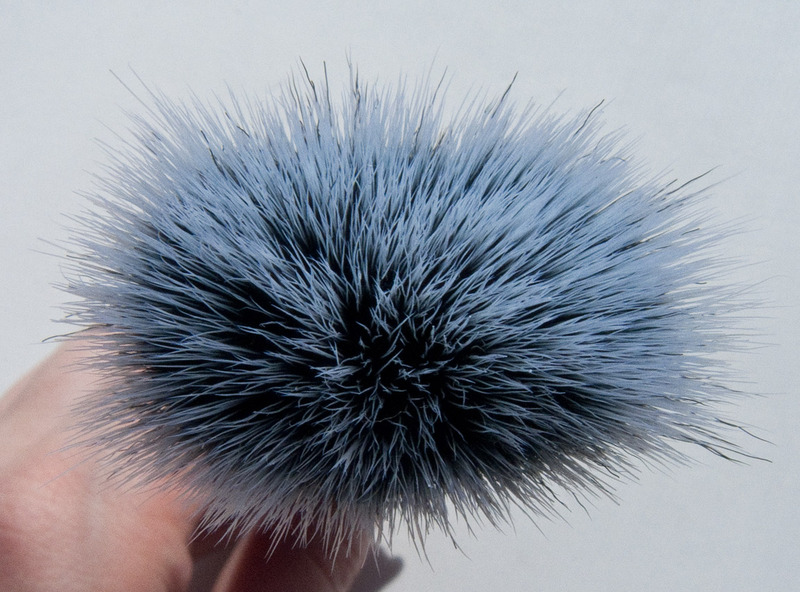 Duo-Fiber Face Brush is a large fluffy paddle styled brush for powder products. The base fiber are not that dense so this a is for soft/light application of powder products mostly. Duo-Fiber Eye Brush is a fluff blending brush. It's really meant to defuse product then laying colour down. The ferrule actually forms the body of the brushes and are hollow tube metal. The base of the brush as a rubber texture and a solid weight to them to stand these brushed up. 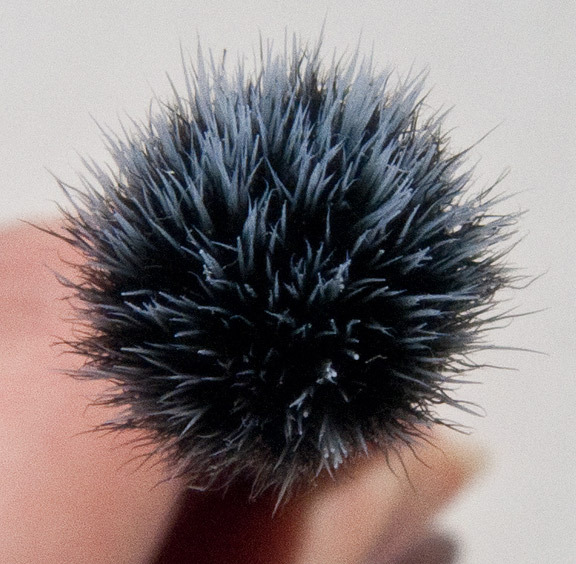 The sorter denser black fibers and translucent white fibers. 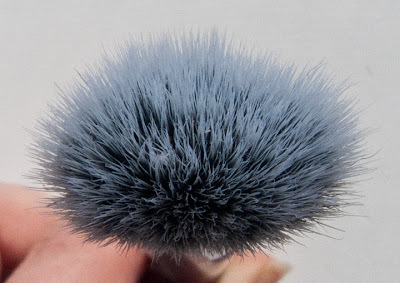 All the hairs come to a tapered tip however I did notice there are few trimmed long hairs in these brushes which does change the texture on the skin (aka not as soft as the permanent line brushes). I can't tell if this is a defect or this was intentional. 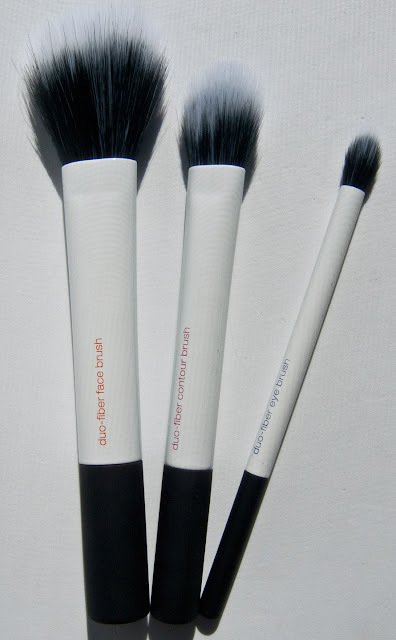 It's hard to fine duo fiber complexly synthetic brushes on the market. 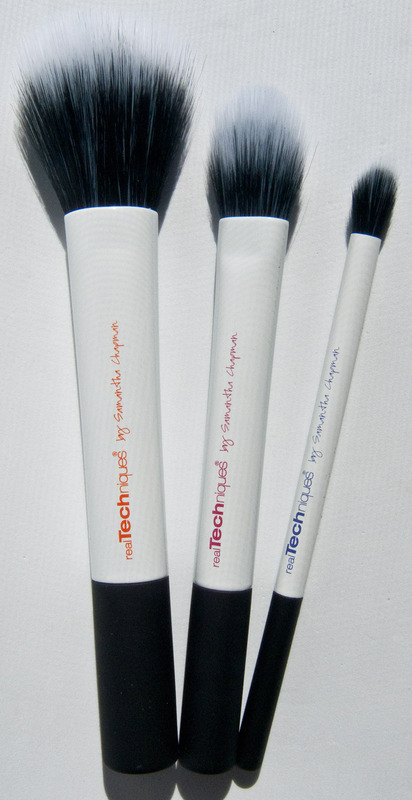 They do their job well without being floppy compare to other duo fiber synthetic brushes I've tried in the past.